Gerald’s long, thin legs and crooked knees make dancing pretty hard. He tries to join in with the other jungle animals at the annual Jungle Dance, but they all laugh at him. All the teasing gets to Gerald, and he starts to believe the animals’ unkind words. Luckily, Gerald meets a wise cricket who teaches him to dance to his own tune, leaving the other jungle animals in awe. 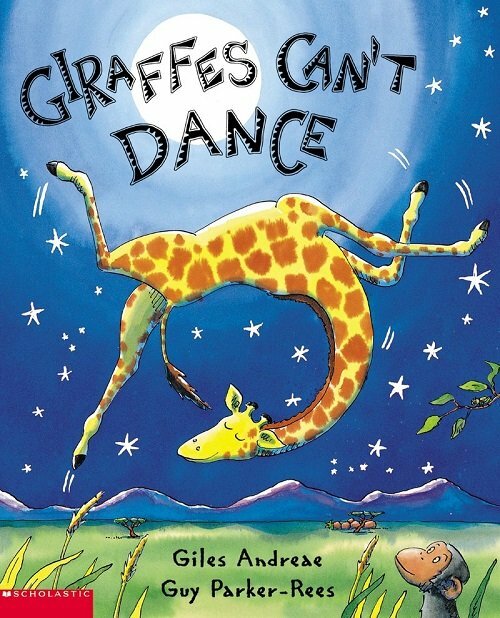 Giraffes Can’t Dance is a popular children’s book with a very important moral to the story. Through reading this book and further discussions, children will learn about the importance of accepting their own differences, as well as the differences of others. The rhyming text makes this book great fun to read aloud, while the humorous illustrations provide many opportunities to expand expressive language - particularly to model regular plural nouns (e.g. lions, baboons, chimps, etc.). For further speech and language targets in Giraffes Can’t Dance, see the list below.